4550201 MHT 780 Evolution Series 2- E3 MANITOU MHT 780 Evolution Series 2- E3 Telehandler MHT Series. Spare Parts Catalog. Service (workshop) Manual. Operator's Instruction Manual. 4550202 MHT 780 HT-E3 Evolution MANITOU MHT 780 HT-E3 Evolution Telehandler MHT Series. Spare Parts Catalog. Service (workshop) Manual. Operator's Instruction Manual. 4550203 MHT 780 L HT Series E3 MANITOU MHT 780 L HT Series E3 Telehandler MHT Series. Spare Parts Catalog. Service (workshop) Manual. Operator's Instruction Manual. 4550204 MHT 860 Evolution Series E3 MANITOU MHT 860 Evolution Series E3 Telehandler MHT Series. Spare Parts Catalog. Service (workshop) Manual. Operator's Instruction Manual. 4550205 MHT 860 L Evolution E3 MANITOU MHT 860 L Evolution E3 Telehandler MHT Series. Spare Parts Catalog. Service (workshop) Manual. Operator's Instruction Manual. 4550206 MHT 860 L Series E2 MANITOU MHT 860 L Series E2 Telehandler MHT Series. Spare Parts Catalog. Service (workshop) Manual. Operator's Instruction Manual. 4550207 MHT 860 LT-E3 Evolution MANITOU MHT 860 LT-E3 Evolution Telehandler MHT Series. Spare Parts Catalog. Service (workshop) Manual. Operator's Instruction Manual. 4550208 MHT 860 M Series E2 MANITOU MHT 860 M Series E2 Telehandler MHT Series. Spare Parts Catalog. Service (workshop) Manual. Operator's Instruction Manual. 4550209 MHT 950 LT-E3 Evolution MANITOU MHT 950 LT-E3 Evolution Telehandler MHT Series. Spare Parts Catalog. Service (workshop) Manual. Operator's Instruction Manual. 4550210 MHT 990 M Series MANITOU MHT 990 M Series Telehandler MHT Series. Spare Parts Catalog. Service (workshop) Manual. Operator's Instruction Manual. 4550211 MHT 990 MHO M Series MANITOU MHT 990 MHO M Series Telehandler MHT Series. Spare Parts Catalog. Service (workshop) Manual. Operator's Instruction Manual. 4550212 MHT 1076 LT-E3 Evolution MANITOU MHT 1076 LT-E3 Evolution Telehandler MHT Series. Spare Parts Catalog. Service (workshop) Manual. Operator's Instruction Manual. 4550213 MHT 7140 M Series MANITOU MHT 7140 M Series Telehandler MHT Series. Spare Parts Catalog. Service (workshop) Manual. Operator's Instruction Manual. 4550214 MHT 7140 Series E3 MANITOU MHT 7140 Series E3 Telehandler MHT Series. Spare Parts Catalog. Service (workshop) Manual. Operator's Instruction Manual. 4550215 MHT 7140 T Series E3 MANITOU MHT 7140 T Series E3 Telehandler MHT Series. Spare Parts Catalog. Service (workshop) Manual. Operator's Instruction Manual. 4550216 MHT 10120 L Evolution Series E3 MANITOU MHT 10120 L Evolution Series E3 Telehandler MHT Series. Spare Parts Catalog. Service (workshop) Manual. Operator's Instruction Manual. 4550217 MHT 10120 L M Series MANITOU MHT 10120 L M Series Telehandler MHT Series. Spare Parts Catalog. Service (workshop) Manual. Operator's Instruction Manual. 4550218 MHT 10120 L M Series E2 MANITOU MHT 10120 L M Series E2 Telehandler MHT Series. Spare Parts Catalog. Service (workshop) Manual. Operator's Instruction Manual. 4550219 MHT 10120 L Turbo M Series E2 MANITOU MHT 10120 L Turbo M Series E2 Telehandler MHT Series. Spare Parts Catalog. Service (workshop) Manual. Operator's Instruction Manual. 4550220 MHT 10120 M Series E3 MANITOU MHT 10120 M Series E3 Telehandler MHT Series. Spare Parts Catalog. Service (workshop) Manual. Operator's Instruction Manual. 4550221 MHT 10160 L M Series E2 MANITOU MHT 10160 L M Series E2 Telehandler MHT Series. Spare Parts Catalog. Service (workshop) Manual. Operator's Instruction Manual. 4550222 MHT 10160 L M Series E3 MANITOU MHT 10160 L M Series E3 Telehandler MHT Series. Spare Parts Catalog. Service (workshop) Manual. Operator's Instruction Manual. 4550223 MHT 10160 M Series E2 MANITOU MHT 10160 M Series E2 Telehandler MHT Series. Spare Parts Catalog. Service (workshop) Manual. Operator's Instruction Manual. 4550224 MHT 10160 M Series E3 MANITOU MHT 10160 M Series E3 Telehandler MHT Series. Spare Parts Catalog. Service (workshop) Manual. Operator's Instruction Manual. 4550225 MHT 10180 L Series E3 MANITOU MHT 10180 L Series E3 Telehandler MHT Series. Spare Parts Catalog. Service (workshop) Manual. Operator's Instruction Manual. 4550226 MHT 10180 L Turbo Series E3 MANITOU MHT 10180 L Turbo Series E3 Telehandler MHT Series. Spare Parts Catalog. Service (workshop) Manual. Operator's Instruction Manual. 4550227 MHT 10210 L M Series E3 MANITOU MHT 10210 L M Series E3 Telehandler MHT Series. Spare Parts Catalog. Service (workshop) Manual. Operator's Instruction Manual. 4550228 MHT 10225 L Series E3 MANITOU MHT 10225 L Series E3 Telehandler MHT Series. Spare Parts Catalog. Service (workshop) Manual. Operator's Instruction Manual. 4550229 MHT 10225 L Turbo Series E3 MANITOU MHT 10225 L Turbo Series E3 Telehandler MHT Series. Spare Parts Catalog. Service (workshop) Manual. Operator's Instruction Manual. 4550231 ML 635 Turbo Series 3-E2 MANITOU ML 635 Turbo Series 3-E2 Telehandler ML Series. Spare Parts Catalog. Service (workshop) Manual. Operator's Instruction Manual. 4550232 ML 635 Turbo Series 3-E3 MANITOU ML 635 Turbo Series 3-E3 Telehandler ML Series. Spare Parts Catalog. Service (workshop) Manual. Operator's Instruction Manual. 4550233 MLA 628 -120 LSU PowerShift Series 3-E2 MANITOU MLA 628 -120 LSU PowerShift Series 3-E2 Telehandler ML Series. Spare Parts Catalog. Service (workshop) Manual. Operator's Instruction Manual. 4550235 MLA 628 Turbo Power Shift Series 3-E2 MANITOU MLA 628 Turbo Power Shift Series 3-E2 Telehandler ML-A/B/T Series. Spare Parts Catalog. Service (workshop) Manual. Operator's Instruction Manual. 4550236 MLB 625 Turbo Ex Series 1-E2 MANITOU MLB 625 Turbo Ex Series 1-E2 Telehandler ML-A/B/T Series. Spare Parts Catalog. Service (workshop) Manual. Operator's Instruction Manual. 4550237 MLB 625 Turbo Series 1-E2 MANITOU MLB 625 Turbo Series 1-E2 Telehandler ML-A/B/T Series. Spare Parts Catalog. Service (workshop) Manual. Operator's Instruction Manual. 4550238 MLT 523 Evolution Series C-E3 MANITOU MLT 523 Evolution Series C-E3 Telehandler ML-A/B/T Series. Spare Parts Catalog. Service (workshop) Manual. Operator's Instruction Manual. 4550239 MLT 523 Turbo Mono Ultra Series A MANITOU MLT 523 Turbo Mono Ultra Series A Telehandler ML-A/B/T Series. Spare Parts Catalog. Service (workshop) Manual. Operator's Instruction Manual. 4550240 MLT 523 Turbo Mono-Ultra Series B-E2 MANITOU MLT 523 Turbo Mono-Ultra Series B-E2 Telehandler ML-A/B/T Series. Spare Parts Catalog. Service (workshop) Manual. Operator's Instruction Manual. 4550241 MLT 523 Turbo Series A MANITOU MLT 523 Turbo Series A Telehandler ML-A/B/T Series. Spare Parts Catalog. Service (workshop) Manual. Operator's Instruction Manual. 4550242 MLT 523 Turbo Series B-E2 MANITOU MLT 523 Turbo Series B-E2 Telehandler ML-A/B/T Series. Spare Parts Catalog. Service (workshop) Manual. Operator's Instruction Manual. 4550243 MLT 526 Compact Series A MANITOU MLT 526 Compact Series A Telehandler ML-A/B/T Series. Spare Parts Catalog. Service (workshop) Manual. Operator's Instruction Manual. 4550244 MLT 526 Turbo Compact Series A MANITOU MLT 526 Turbo Compact Series A Telehandler ML-A/B/T Series. Spare Parts Catalog. Service (workshop) Manual. Operator's Instruction Manual. 4550245 MLT 625-75 H Series 1-E3 MANITOU MLT 625-75 H Series 1-E3 Telehandler ML-A/B/T Series. Spare Parts Catalog. Service (workshop) Manual. Operator's Instruction Manual. 4550246 MLT 627 Compact Mono Ultra Series B-E2 MANITOU MLT 627 Compact Mono Ultra Series B-E2 Telehandler ML-A/B/T Series. Spare Parts Catalog. Service (workshop) Manual. Operator's Instruction Manual. 4550247 MLT 627 Compact Series B-E2 MANITOU MLT 627 Compact Series B-E2 Telehandler ML-A/B/T Series. Spare Parts Catalog. Service (workshop) Manual. Operator's Instruction Manual. 4550248 MLT 627 Series B-E2 MANITOU MLT 627 Series B-E2 Telehandler ML-A/B/T Series. Spare Parts Catalog. Service (workshop) Manual. Operator's Instruction Manual. 4550249 MLT 627 Turbo Compact Mono Ultra Series B-E2 MANITOU MLT 627 Turbo Compact Mono Ultra Series B-E2 Telehandler ML-A/B/T Series. Spare Parts Catalog. Service (workshop) Manual. Operator's Instruction Manual. 4550250 MLT 627 Turbo Compact Series B-E2 MANITOU MLT 627 Turbo Compact Series B-E2 Telehandler ML-A/B/T Series. Spare Parts Catalog. Service (workshop) Manual. Operator's Instruction Manual. 4550251 MLT 627 Turbo Mono Ultra Series B-E2 MANITOU MLT 627 Turbo Mono Ultra Series B-E2 Telehandler ML-A/B/T Series. Spare Parts Catalog. Service (workshop) Manual. Operator's Instruction Manual. 4550252 MLT 627 Turbo Series B-E2 MANITOU MLT 627 Turbo Series B-E2 Telehandler ML-A/B/T Series. Spare Parts Catalog. Service (workshop) Manual. Operator's Instruction Manual. 4550253 MLT 628 Turbo Series 1 MANITOU MLT 628 Turbo Series 1 Telehandler ML-A/B/T Series. Spare Parts Catalog. Service (workshop) Manual. Operator's Instruction Manual. 4550254 MLT 629 Series 1 MANITOU MLT 629 Series 1 Telehandler ML-A/B/T Series. Spare Parts Catalog. Service (workshop) Manual. Operator's Instruction Manual. 4550255 MLT 629 Series 1A MANITOU MLT 629 Series 1A Telehandler ML-A/B/T Series. Spare Parts Catalog. Service (workshop) Manual. Operator's Instruction Manual. 4550256 MLT 629 T Series A MANITOU MLT 629 T Series A Telehandler ML-A/B/T Series. Spare Parts Catalog. Service (workshop) Manual. Operator's Instruction Manual. 4550257 MLT 629 Turbo Series 1A MANITOU MLT 629 Turbo Series 1A Telehandler ML-A/B/T Series. Spare Parts Catalog. Service (workshop) Manual. Operator's Instruction Manual. 4550258 MLT 629 Turbo Series A MANITOU MLT 629 Turbo Series A Telehandler ML-A/B/T Series. Spare Parts Catalog. Service (workshop) Manual. Operator's Instruction Manual. 4550259 MLT 629-120 LS Series A MANITOU MLT 629-120 LS Series A Telehandler ML-A/B/T Series. Spare Parts Catalog. Service (workshop) Manual. Operator's Instruction Manual. 4550260 MLT 630 Turbo Series B-E2 MANITOU MLT 630 Turbo Series B-E2 Telehandler ML-A/B/T Series. Spare Parts Catalog. Service (workshop) Manual. Operator's Instruction Manual. 4550261 MLT 630 Turbo Series D-E3 MANITOU MLT 630 Turbo Series D-E3 Telehandler ML-A/B/T Series. Spare Parts Catalog. Service (workshop) Manual. Operator's Instruction Manual. 4550262 MLT 630-120 LSU Series B-E2 MANITOU MLT 630-120 LSU Series B-E2 Telehandler ML-A/B/T Series. Spare Parts Catalog. Service (workshop) Manual. Operator's Instruction Manual. 4550263 MLT 632 Turbo Series 1 MANITOU MLT 632 Turbo Series 1 Telehandler ML-A/B/T Series. Spare Parts Catalog. Service (workshop) Manual. Operator's Instruction Manual. 4550264 MLT 633 LS Turbo Series A MANITOU MLT 633 LS Turbo Series A Telehandler ML-A/B/T Series. Spare Parts Catalog. Service (workshop) Manual. Operator's Instruction Manual. 4550265 MLT 633 Series 1 MANITOU MLT 633 Series 1 Telehandler ML-A/B/T Series. Spare Parts Catalog. Service (workshop) Manual. Operator's Instruction Manual. 4550266 MLT 633 Turbo LS Series 1A MANITOU MLT 633 Turbo LS Series 1A Telehandler ML-A/B/T Series. Spare Parts Catalog. Service (workshop) Manual. Operator's Instruction Manual. 4550267 MLT 633 Turbo LS Series A MANITOU MLT 633 Turbo LS Series A Telehandler ML-A/B/T Series. Spare Parts Catalog. Service (workshop) Manual. Operator's Instruction Manual. 4550268 MLT 633-120 LS Series 1A MANITOU MLT 633-120 LS Series 1A Telehandler ML-A/B/T Series. Spare Parts Catalog. Service (workshop) Manual. Operator's Instruction Manual. 4550269 MLT 634 Turbo LSU Series B-E2 MANITOU MLT 634 Turbo LSU Series B-E2 Telehandler ML-A/B/T Series. Spare Parts Catalog. Service (workshop) Manual. Operator's Instruction Manual. 4550270 MLT 634 Turbo LSU Series D-E3 MANITOU MLT 634 Turbo LSU Series D-E3 Telehandler ML-A/B/T Series. Spare Parts Catalog. Service (workshop) Manual. Operator's Instruction Manual. 4550271 MLT 634 Turbo LSU Series F-E3 MANITOU MLT 634 Turbo LSU Series F-E3 Telehandler ML-A/B/T Series. Spare Parts Catalog. Service (workshop) Manual. Operator's Instruction Manual. 4550272 MLT 634-120 LSU PowerShift Series B-E2 MANITOU MLT 634-120 LSU PowerShift Series B-E2 Telehandler ML-A/B/T Series. Spare Parts Catalog. Service (workshop) Manual. Operator's Instruction Manual. 4550273 MLT 634-120 LSU PowerShift Series F-E3 MANITOU MLT 634-120 LSU PowerShift Series F-E3 Telehandler ML-A/B/T Series. Spare Parts Catalog. Service (workshop) Manual. Operator's Instruction Manual. 4550274 MLT 634-120 LSU PS Series G-E3 MANITOU MLT 634-120 LSU PS Series G-E3 Telehandler ML-A/B/T Series. Spare Parts Catalog. Service (workshop) Manual. Operator's Instruction Manual. 4550275 MLT 634-120 LSU Series B-E2 MANITOU MLT 634-120 LSU Series B-E2 Telehandler ML-A/B/T Series. Spare Parts Catalog. Service (workshop) Manual. Operator's Instruction Manual. 4550276 MLT 634-120 LSU Series D-E3 MANITOU MLT 634-120 LSU Series D-E3 Telehandler ML-A/B/T Series. Spare Parts Catalog. Service (workshop) Manual. Operator's Instruction Manual. 4550277 MLT 634-120 LSU Series F-E3 MANITOU MLT 634-120 LSU Series F-E3 Telehandler ML-A/B/T Series. Spare Parts Catalog. Service (workshop) Manual. Operator's Instruction Manual. 4550278 MLT 634-120 LSU Series G-E3 MANITOU MLT 634-120 LSU Series G-E3 Telehandler ML-A/B/T Series. Spare Parts Catalog. Service (workshop) Manual. Operator's Instruction Manual. 4550279 MLT 730 Series 1A MANITOU MLT 730 Series 1A Telehandler ML-A/B/T Series. Spare Parts Catalog. Service (workshop) Manual. Operator's Instruction Manual. 4550280 MLT 730 Turbo LS Series 1A MANITOU MLT 730 Turbo LS Series 1A Telehandler ML-A/B/T Series. Spare Parts Catalog. Service (workshop) Manual. Operator's Instruction Manual. 4550281 MLT 730 Turbo Series 1A MANITOU MLT 730 Turbo Series 1A Telehandler ML-A/B/T Series. Spare Parts Catalog. Service (workshop) Manual. Operator's Instruction Manual. 4550282 MLT 730 Turbo Series A MANITOU MLT 730 Turbo Series A Telehandler ML-A/B/T Series. Spare Parts Catalog. Service (workshop) Manual. Operator's Instruction Manual. 4550283 MLT 730-120 LS Series 1A MANITOU MLT 730-120 LS Series 1A Telehandler ML-A/B/T Series. Spare Parts Catalog. Service (workshop) Manual. Operator's Instruction Manual. 4550284 MLT 730-120 LS Series A MANITOU MLT 730-120 LS Series A Telehandler ML-A/B/T Series. Spare Parts Catalog. Service (workshop) Manual. Operator's Instruction Manual. 4550285 MLT 730-120 LS Turbo Series A MANITOU MLT 730-120 LS Turbo Series A Telehandler ML-A/B/T Series. Spare Parts Catalog. Service (workshop) Manual. Operator's Instruction Manual. 4550286 MLT 731 Turbo LSU Series B-E2 MANITOU MLT 731 Turbo LSU Series B-E2 Telehandler ML-A/B/T Series. Spare Parts Catalog. Service (workshop) Manual. Operator's Instruction Manual. 4550287 MLT 731 Turbo LSU Series D-E3 MANITOU MLT 731 Turbo LSU Series D-E3 Telehandler ML-A/B/T Series. Spare Parts Catalog. Service (workshop) Manual. Operator's Instruction Manual. 4550288 MLT 731 Turbo Series B-E2 MANITOU MLT 731 Turbo Series B-E2 Telehandler ML-A/B/T Series. Spare Parts Catalog. Service (workshop) Manual. Operator's Instruction Manual. 4550289 MLT 731 Turbo Series D-E3 MANITOU MLT 731 Turbo Series D-E3 Telehandler ML-A/B/T Series. Spare Parts Catalog. Service (workshop) Manual. Operator's Instruction Manual. 4550290 MLT 731 Turbo Series F-E3 MANITOU MLT 731 Turbo Series F-E3 Telehandler ML-A/B/T Series. Spare Parts Catalog. Service (workshop) Manual. Operator's Instruction Manual. 4550291 MLT 735 Turbo LSU Series 6-E3 MANITOU MLT 735 Turbo LSU Series 6-E3 Telehandler ML-A/B/T Series. Spare Parts Catalog. Service (workshop) Manual. Operator's Instruction Manual. 4550292 MLT 735-100 LSU Series 7-E3 MANITOU MLT 735-100 LSU Series 7-E3 Telehandler ML-A/B/T Series. Spare Parts Catalog. Service (workshop) Manual. Operator's Instruction Manual. 4550293 MLT 735-120 LSU PowerShift Series 2-E2 MANITOU MLT 735-120 LSU PowerShift Series 2-E2 Telehandler ML-A/B/T Series. Spare Parts Catalog. Service (workshop) Manual. Operator's Instruction Manual. 4550294 MLT 735-120 LSU PowerShift Series 6-E3 MANITOU MLT 735-120 LSU PowerShift Series 6-E3 Telehandler ML-A/B/T Series. Spare Parts Catalog. Service (workshop) Manual. Operator's Instruction Manual. 4550295 MLT 735-120 LSU Series 2-E2 MANITOU MLT 735-120 LSU Series 2-E2 Telehandler ML-A/B/T Series. Spare Parts Catalog. Service (workshop) Manual. Operator's Instruction Manual. 4550296 MLT 735-120 LSU Series 4-E3 MANITOU MLT 735-120 LSU Series 4-E3 Telehandler ML-A/B/T Series. Spare Parts Catalog. Service (workshop) Manual. Operator's Instruction Manual. 4550297 MLT 735-120 LSU Series 6-E3 MANITOU MLT 735-120 LSU Series 6-E3 Telehandler ML-A/B/T Series. Spare Parts Catalog. Service (workshop) Manual. Operator's Instruction Manual. 4550298 MLT 735-120 LSU Series 7-E3 MANITOU MLT 735-120 LSU Series 7-E3 Telehandler ML-A/B/T Series. Spare Parts Catalog. Service (workshop) Manual. Operator's Instruction Manual. 4550299 MLT 741 Turbo LSU Series 6-E3 MANITOU MLT 741 Turbo LSU Series 6-E3 Telehandler ML-A/B/T Series. Spare Parts Catalog. Service (workshop) Manual. Operator's Instruction Manual. 4550300 MLT 741-120 LSU PowerShift Series 2-E2 MANITOU MLT 741-120 LSU PowerShift Series 2-E2 Telehandler ML-A/B/T Series. Spare Parts Catalog. Service (workshop) Manual. Operator's Instruction Manual. 4550301 MLT 741-120 LSU PowerShift Series 6-E3 MANITOU MLT 741-120 LSU PowerShift Series 6-E3 Telehandler ML-A/B/T Series. Spare Parts Catalog. Service (workshop) Manual. Operator's Instruction Manual. 4550302 MLT 741-120 LSU Series 2-E2 MANITOU MLT 741-120 LSU Series 2-E2 Telehandler ML-A/B/T Series. Spare Parts Catalog. Service (workshop) Manual. Operator's Instruction Manual. 4550303 MLT 741-120 LSU Series 4-E3 MANITOU MLT 741-120 LSU Series 4-E3 Telehandler ML-A/B/T Series. Spare Parts Catalog. Service (workshop) Manual. Operator's Instruction Manual. 4550304 MLT 741-120 LSU Series 6-E3 MANITOU MLT 741-120 LSU Series 6-E3 Telehandler ML-A/B/T Series. Spare Parts Catalog. Service (workshop) Manual. Operator's Instruction Manual. 4550305 MLT 742 H LSU Turbo Series 2 MANITOU MLT 742 H LSU Turbo Series 2 Telehandler ML-A/B/T Series. Spare Parts Catalog. Service (workshop) Manual. Operator's Instruction Manual. 4550306 MLT 742 Turbo Series 2-E2 MANITOU MLT 742 Turbo Series 2-E2 Telehandler ML-A/B/T Series. Spare Parts Catalog. Service (workshop) Manual. Operator's Instruction Manual. 4550307 MLT 742 Turbo Series 4-E3 MANITOU MLT 742 Turbo Series 4-E3 Telehandler ML-A/B/T Series. Spare Parts Catalog. Service (workshop) Manual. Operator's Instruction Manual. 4550308 MLT 840-115 PS MANITOU MLT 840-115 PS Telehandler ML-A/B/T Series. Spare Parts Catalog. Service (workshop) Manual. Operator's Instruction Manual. 4550309 MLT 840-137 PS MANITOU MLT 840-137 PS Telehandler ML-A/B/T Series. Spare Parts Catalog. Service (workshop) Manual. Operator's Instruction Manual. 4550310 MLT 845-120 H Series 4-E3 MANITOU MLT 845-120 H Series 4-E3 Telehandler ML-A/B/T Series. Spare Parts Catalog. Service (workshop) Manual. Operator's Instruction Manual. 4550311 MLT 845-120 LSU Series 3-E2 MANITOU MLT 845-120 LSU Series 3-E2 Telehandler ML-A/B/T Series. Spare Parts Catalog. Service (workshop) Manual. Operator's Instruction Manual. 4550312 MLT 845-120 LSU Series 3-E3 MANITOU MLT 845-120 LSU Series 3-E3 Telehandler ML-A/B/T Series. Spare Parts Catalog. Service (workshop) Manual. Operator's Instruction Manual. 4550313 MLT 845-120 LSU Series 4-E3 MANITOU MLT 845-120 LSU Series 4-E3 Telehandler ML-A/B/T Series. Spare Parts Catalog. Service (workshop) Manual. Operator's Instruction Manual. 4550314 MLT 845-120 Series 4-E3 MANITOU MLT 845-120 Series 4-E3 Telehandler ML-A/B/T Series. Spare Parts Catalog. Service (workshop) Manual. Operator's Instruction Manual. 4550315 MLT 845-120 Series E3 MANITOU MLT 845-120 Series E3 Telehandler ML-A/B/T Series. Spare Parts Catalog. Service (workshop) Manual. Operator's Instruction Manual. 4550316 MLT 940 L -120 LSU Series 3-E2 MANITOU MLT 940 L -120 LSU Series 3-E2 Telehandler ML-A/B/T Series. Spare Parts Catalog. Service (workshop) Manual. Operator's Instruction Manual. 4550317 MLT 940 L Series 3-E2 MANITOU MLT 940 L Series 3-E2 Telehandler ML-A/B/T Series. Spare Parts Catalog. Service (workshop) Manual. Operator's Instruction Manual. 4550318 MLT 940-120 LSU Series 3-E2 MANITOU MLT 940-120 LSU Series 3-E2 Telehandler ML-A/B/T Series. Spare Parts Catalog. Service (workshop) Manual. Operator's Instruction Manual. 4550319 MLT 940-120 LSU Series 3-E3 MANITOU MLT 940-120 LSU Series 3-E3 Telehandler ML-A/B/T Series. Spare Parts Catalog. Service (workshop) Manual. Operator's Instruction Manual. 4550320 MLT 940-120 LSU Turbo Series 3-E2 MANITOU MLT 940-120 LSU Turbo Series 3-E2 Telehandler ML-A/B/T Series. Spare Parts Catalog. Service (workshop) Manual. Operator's Instruction Manual. 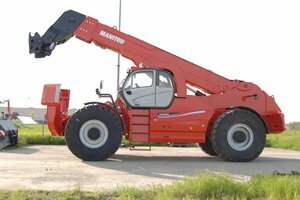 4550321 MLT 960 MANITOU MLT 960 Telehandler ML-A/B/T Series. Spare Parts Catalog. Service (workshop) Manual. Operator's Instruction Manual. 4550322 MLT 1035 L Turbo LSU Series 4-E3 MANITOU MLT 1035 L Turbo LSU Series 4-E3 Telehandler ML-A/B/T Series. Spare Parts Catalog. Service (workshop) Manual. Operator's Instruction Manual. 4550323 MLT 1035 L Turbo LSU Series 6-E3 MANITOU MLT 1035 L Turbo LSU Series 6-E3 Telehandler ML-A/B/T Series. Spare Parts Catalog. Service (workshop) Manual. Operator's Instruction Manual. 4550324 MLT 1040-137 PS MANITOU MLT 1040-137 PS Telehandler ML-A/B/T Series. Spare Parts Catalog. Service (workshop) Manual. Operator's Instruction Manual. 4550326 MRT 1432 M Series MANITOU MRT 1432 M Series Telehandler MRT Series. Spare Parts Catalog. Service (workshop) Manual. Operator's Instruction Manual. 4550327 MRT 1432 M Series E2 MANITOU MRT 1432 M Series E2 Telehandler MRT Series. Spare Parts Catalog. Service (workshop) Manual. Operator's Instruction Manual. 4550328 MRT 1432 M Series E2 Crane MANITOU MRT 1432 M Series E2 Crane Telehandler MRT Series. Spare Parts Catalog. Service (workshop) Manual. Operator's Instruction Manual. 4550329 MRT 1440 Easy MANITOU MRT 1440 Easy Telehandler MRT Series. Spare Parts Catalog. Service (workshop) Manual. Operator's Instruction Manual. 4550330 MRT 1532 M Series MANITOU MRT 1532 M Series Telehandler MRT Series. Spare Parts Catalog. Service (workshop) Manual. Operator's Instruction Manual. 4550331 MRT 1542 M Series E2 MANITOU MRT 1542 M Series E2 Telehandler MRT Series. Spare Parts Catalog. Service (workshop) Manual. Operator's Instruction Manual. 4550332 MRT 1635 M Series MANITOU MRT 1635 M Series Telehandler MRT Series. Spare Parts Catalog. Service (workshop) Manual. Operator's Instruction Manual. 4550333 MRT 1635 M Series E2 MANITOU MRT 1635 M Series E2 Telehandler MRT Series. Spare Parts Catalog. Service (workshop) Manual. Operator's Instruction Manual. 4550334 MRT 1640 Easy MANITOU MRT 1640 Easy Telehandler MRT Series. Spare Parts Catalog. Service (workshop) Manual. Operator's Instruction Manual. 4550335 MRT 1732 M Series E2 MANITOU MRT 1732 M Series E2 Telehandler MRT Series. Spare Parts Catalog. Service (workshop) Manual. Operator's Instruction Manual. 4550336 MRT 1742 M Series MANITOU MRT 1742 M Series Telehandler MRT Series. Spare Parts Catalog. Service (workshop) Manual. Operator's Instruction Manual. 4550337 MRT 1742 M Series E2 MANITOU MRT 1742 M Series E2 Telehandler MRT Series. Spare Parts Catalog. Service (workshop) Manual. Operator's Instruction Manual. 4550338 MRT 1840 Comfort Line MANITOU MRT 1840 Comfort Line Telehandler MRT Series. Spare Parts Catalog. Service (workshop) Manual. Operator's Instruction Manual. 4550339 MRT 1840 Easy MANITOU MRT 1840 Easy Telehandler MRT Series. Spare Parts Catalog. Service (workshop) Manual. Operator's Instruction Manual. 4550340 MRT 1840 Series E3 MANITOU MRT 1840 Series E3 Telehandler MRT Series. Spare Parts Catalog. Service (workshop) Manual. Operator's Instruction Manual. 4550341 MRT 1850 MANITOU MRT 1850 Telehandler MRT Series. Spare Parts Catalog. Service (workshop) Manual. Operator's Instruction Manual. 4550342 MRT 1850 L Comfort Line MANITOU MRT 1850 L Comfort Line Telehandler MRT Series. Spare Parts Catalog. Service (workshop) Manual. Operator's Instruction Manual. 4550343 MRT 1850 M Series MANITOU MRT 1850 M Series Telehandler MRT Series. Spare Parts Catalog. Service (workshop) Manual. Operator's Instruction Manual. 4550344 MRT 1850 M Series E2 MANITOU MRT 1850 M Series E2 Telehandler MRT Series. Spare Parts Catalog. Service (workshop) Manual. Operator's Instruction Manual. 4550345 MRT 1850 Plus-E3 Privilege MANITOU MRT 1850 Plus-E3 Privilege Telehandler MRT Series. Spare Parts Catalog. Service (workshop) Manual. Operator's Instruction Manual. 4550346 MRT 1850 Privilege MANITOU MRT 1850 Privilege Telehandler MRT Series. Spare Parts Catalog. Service (workshop) Manual. Operator's Instruction Manual. 4550347 MRT 1850 Privilege E3 MANITOU MRT 1850 Privilege E3 Telehandler MRT Series. Spare Parts Catalog. Service (workshop) Manual. Operator's Instruction Manual. 4550348 MRT 1850 Turbo MANITOU MRT 1850 Turbo Telehandler MRT Series. Spare Parts Catalog. Service (workshop) Manual. Operator's Instruction Manual. 4550349 MRT 2150 MANITOU MRT 2150 Telehandler MRT Series. Spare Parts Catalog. Service (workshop) Manual. Operator's Instruction Manual. 4550350 MRT 2150 M Series MANITOU MRT 2150 M Series Telehandler MRT Series. Spare Parts Catalog. Service (workshop) Manual. Operator's Instruction Manual. 4550351 MRT 2150 M Series E2 MANITOU MRT 2150 M Series E2 Telehandler MRT Series. Spare Parts Catalog. Service (workshop) Manual. Operator's Instruction Manual. 4550352 MRT 2150 Plus-E3 Privilege MANITOU MRT 2150 Plus-E3 Privilege Telehandler MRT Series. Spare Parts Catalog. Service (workshop) Manual. Operator's Instruction Manual. 4550353 MRT 2150 Privilege MANITOU MRT 2150 Privilege Telehandler MRT Series. Spare Parts Catalog. Service (workshop) Manual. Operator's Instruction Manual. 4550354 MRT 2150 Privilege E3 MANITOU MRT 2150 Privilege E3 Telehandler MRT Series. Spare Parts Catalog. Service (workshop) Manual. Operator's Instruction Manual. 4550355 MRT 2540 MANITOU MRT 2540 Telehandler MRT Series. Spare Parts Catalog. Service (workshop) Manual. Operator's Instruction Manual. 4550356 MRT 2540 M Series MANITOU MRT 2540 M Series Telehandler MRT Series. Spare Parts Catalog. Service (workshop) Manual. Operator's Instruction Manual. 4550357 MRT 2540 M Series E2 MANITOU MRT 2540 M Series E2 Telehandler MRT Series. Spare Parts Catalog. Service (workshop) Manual. Operator's Instruction Manual. 4550358 MRT 2540 Plus-E3 Privilege MANITOU MRT 2540 Plus-E3 Privilege Telehandler MRT Series. Spare Parts Catalog. Service (workshop) Manual. Operator's Instruction Manual. 4550359 MRT 2540 Privilege MANITOU MRT 2540 Privilege Telehandler MRT Series. Spare Parts Catalog. Service (workshop) Manual. Operator's Instruction Manual. 4550360 MRT 2540 Privilege E3 MANITOU MRT 2540 Privilege E3 Telehandler MRT Series. Spare Parts Catalog. Service (workshop) Manual. Operator's Instruction Manual. 4550361 MRT 3050 Privilege Lift MANITOU MRT 3050 Privilege Lift Telehandler MRT Series. Spare Parts Catalog. Service (workshop) Manual. Operator's Instruction Manual. 4550363 MVT 628 Turbo Comfort Line MANITOU MVT 628 Turbo Comfort Line Telehandler MVT Series. Spare Parts Catalog. Service (workshop) Manual. Operator's Instruction Manual. 4550364 MVT 628 Turbo Evolution E3 MANITOU MVT 628 Turbo Evolution E3 Telehandler MVT Series. Spare Parts Catalog. Service (workshop) Manual. Operator's Instruction Manual. 4550365 MVT 628 Turbo Series E2 MANITOU MVT 628 Turbo Series E2 Telehandler MVT Series. Spare Parts Catalog. Service (workshop) Manual. Operator's Instruction Manual. 4550366 MVT 628 Turbo Series E3 MANITOU MVT 628 Turbo Series E3 Telehandler MVT Series. Spare Parts Catalog. Service (workshop) Manual. Operator's Instruction Manual. 4550367 MVT 660 MANITOU MVT 660 Telehandler MVT Series. Spare Parts Catalog. Service (workshop) Manual. Operator's Instruction Manual. 4550368 MVT 665 Turbo Comfort Line MANITOU MVT 665 Turbo Comfort Line Telehandler MVT Series. Spare Parts Catalog. Service (workshop) Manual. Operator's Instruction Manual. 4550369 MVT 665 Turbo Comfort Line Series E2 MANITOU MVT 665 Turbo Comfort Line Series E2 Telehandler MVT Series. Spare Parts Catalog. Service (workshop) Manual. Operator's Instruction Manual. 4550370 MVT 665 Turbo Series E2 MANITOU MVT 665 Turbo Series E2 Telehandler MVT Series. Spare Parts Catalog. Service (workshop) Manual. Operator's Instruction Manual. 4550371 MVT 670 MANITOU MVT 670 Telehandler MVT Series. Spare Parts Catalog. Service (workshop) Manual. Operator's Instruction Manual. 4550372 MVT 675 Turbo Series E2 MANITOU MVT 675 Turbo Series E2 Telehandler MVT Series. Spare Parts Catalog. Service (workshop) Manual. Operator's Instruction Manual. 4550373 MVT 730 MANITOU MVT 730 Telehandler MVT Series. Spare Parts Catalog. Service (workshop) Manual. Operator's Instruction Manual. 4550374 MVT 930 MANITOU MVT 930 Telehandler MVT Series. Spare Parts Catalog. Service (workshop) Manual. Operator's Instruction Manual. 4550375 MVT 1230 L MANITOU MVT 1230 L Telehandler MVT Series. Spare Parts Catalog. Service (workshop) Manual. Operator's Instruction Manual. 4550376 MVT 1230 L Comfort Line MANITOU MVT 1230 L Comfort Line Telehandler MVT Series. Spare Parts Catalog. Service (workshop) Manual. Operator's Instruction Manual. 4550377 MVT 1330 L Comfort Line MANITOU MVT 1330 L Comfort Line Telehandler MVT Series. Spare Parts Catalog. Service (workshop) Manual. Operator's Instruction Manual. 4550378 MVT 1340 L Comfort Line MANITOU MVT 1340 L Comfort Line Telehandler MVT Series. Spare Parts Catalog. Service (workshop) Manual. Operator's Instruction Manual.